Have a bright and silvery bonus! Do you belong to Team Werewolf or Team Vampire? Nonsense, you’re in Team Slotpark! 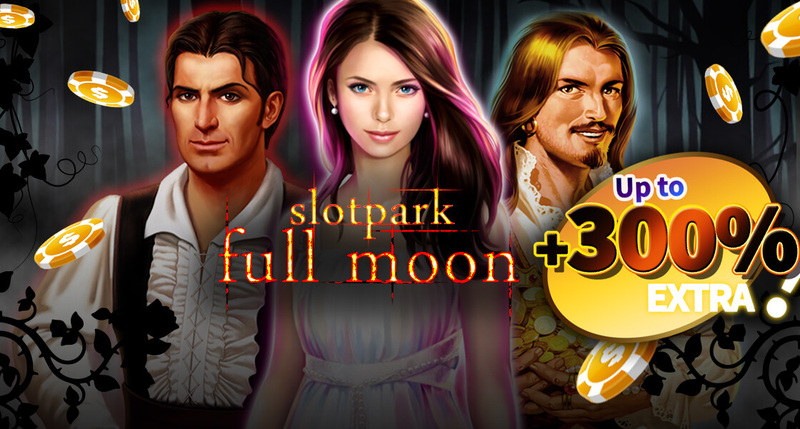 This is precisely why we’re offering you up to 300% more on top of a Slotpark Dollar pack of your choice, but only from October 24th until 25th!